Create your own personalized package to the 2019 Preakness Stakes including your choice of tickets, first-class accommodations and more! Join Roadtrips at “Old Hilltop” for the the second jewel in racing’s prestigious Triple Crown. It’s the 144th Preakness Stakes, and for over a century Pimlico has served as gracious host to some of the finest racing legends the world has ever known; icons such as Man o’ War, Sir Barton, Seabiscuit, and Secretariat. Preakness is always an exciting race and 2018 proved to be no exception as Justify secured the second jewel of the triple crown in a historic performance. Year after year, Baltimore welcomes the event’s guests with open arms. Whether this is your first Preakness or your 40th, this year promises to be as memorable as ever! Complete 2019 Preakness Stakes packages available from $655 per person (based on double occupancy). 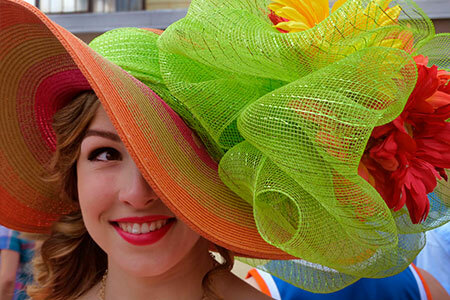 Customize your 2019 Preakness Stakes experience by contacting one of our sports travel experts at 1-813-875-4155 or submitting a Custom Trip Quote.